Nearly 40 years after Audre Lorde wrote these words, they still ring true … especially today. Equality doesn’t have a fighting chance if we stay in the closet! Yet coming out is a process. It took me a long time to come out publicly … but I mustered the courage –– built up in me by my friends, teammates and others who had come out before me. Their visibility gave me hope, so I could be my authentic self. And I’ve never looked back –– not even when my brother, Newt, became Speaker of the House of Representatives. That’s why National Coming Out Day is important – it’s a day to proudly be yourself – whether you are LGBTQ or an ally. It’s a way to pay it forward, and strengthen our network of support. So let’s unite in a visible display of support for lesbian, gay, bisexual, transgender and queer (LGBTQ) people! 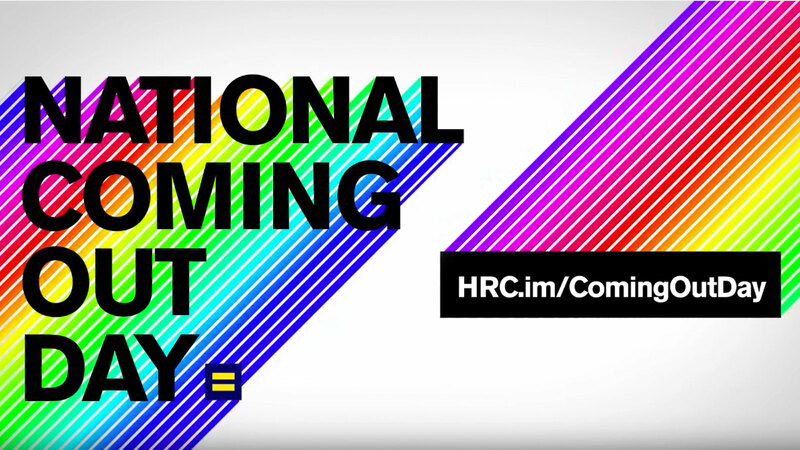 Take a second to post a message about how you are coming out for equality today. Once you post, a pin will be added to our virtual National Coming Out Day map. Let’s light up our map and give hope to people who need help on their journeys. This is a small step to take, but imagine how your post, combined with thousands of others, will help a young LGBTQ person know that they aren’t the only one. Your action today will welcome them into our community with a powerful message: that we believe they are perfect … just the way they are. Whether you are an LGBTQ person, or an ally –– please make your support of LGBTQ people visible today.